Uachtarán CLG Aogán Ó Fearghail said: “So much of what we do as an Association is made possible by the fact that we have such a loyal following of supporters all over Ireland. “This new rewards program will offer us the chance to extend a thank you to them in recognition of that support for the commitment they show be it at club level in their community, or in supporting our Games. 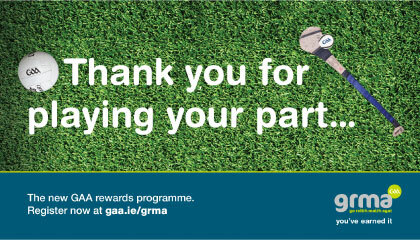 Members are encouraged to sign up online via gaa.ie/grma and will receive a new official GAA Membership Card personalised with their name, club and GAA Membership Number. The program launched in November 2016. It will provide GAA members with exclusive discounts, special offers and the opportunity to earn points for attending games. Points can be redeemed by individual members or pooled for redemption by GAA clubs. TLC Marketing Worldwide is the global leader in loyalty, incentive and reward campaigns, allowing brands to outpace their competition for a fraction of the cost of the alternatives. 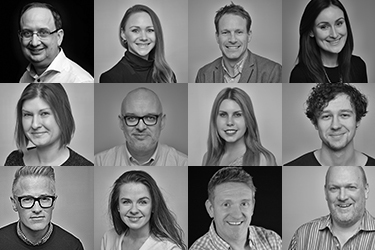 TLC are one of the few marketing service providers who feature in the 2015 and 2016 Sunday Times International Fast Track 200 and the London Stock Exchange, 1000 Companies to Inspire Britain 2015. The have launched award winning campaigns for Bupa and Continental Tyres and are a 2016 Queen’s Award for Enterprise in International Trade winner. Other clients include Yakult, Elastoplast, The Post Office and HSBC. The Gaelic Athletic Association (GAA) is Ireland’s largest sporting organisation. It is celebrated as one of the great amateur sporting associations in the world. It is part of the Irish consciousness and plays an influential role in Irish society that extends far beyond the basic aim of promoting Gaelic games. The Association today promotes Gaelic games such as Hurling, Football, Handball and Rounders and works with sister organisations to promote Ladies Football and Camogie. The GAA has remained an amateur Association since its founding. Players, even at the highest level, do not receive payment for playing and the volunteer ethos remains one of the most important aspects of the GAA.